The utopian promise of the internet, much talked about even a few years ago, has given way to the information highway’s brutal realities: coltan mines in the Congo, electronics factories in China, devastated neighborhoods in Detroit. 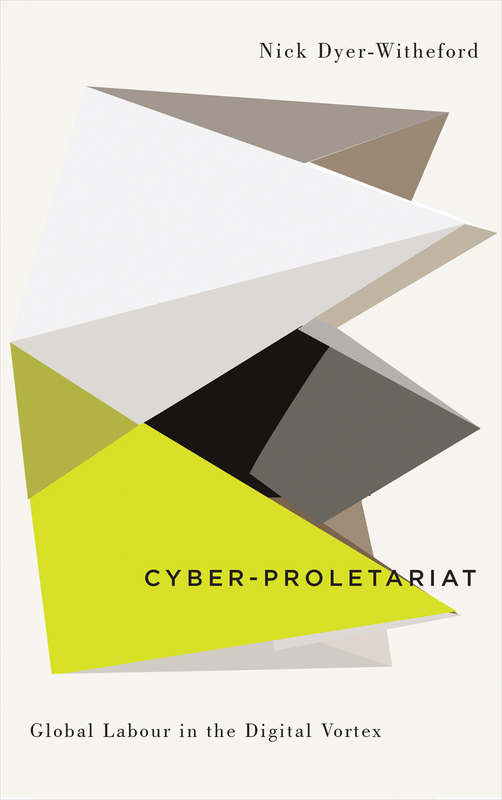 In Cyber-Proletariat, Nick Dyer-Witheford shows the dark side of the information revolution through an unsparing analysis of class power and computerization. He reveals how technology facilitates growing polarization between wealthy elites and precarious workers and how class dominates everything from expanding online surveillance to intensifying robotization. At the same time he looks at possibilities for information technology within radical movements, casting contemporary economic and social struggles in the blue glow of the computer screen. Cyber-Proletariat brings Marxist analysis to bear on a range of modern informational technologies. The result is a book indispensable to social theorists and hacktivists alike and essential reading for anyone who wants to understand how Silicon Valley shapes the way we live today.